Here’s Vesty wondering what the special occasion is that we’re in bed so early on a Wednesday night. Sleepiness, that’s why! Yep, she’s worn out and snoring. Must have been a good Christmas for her. 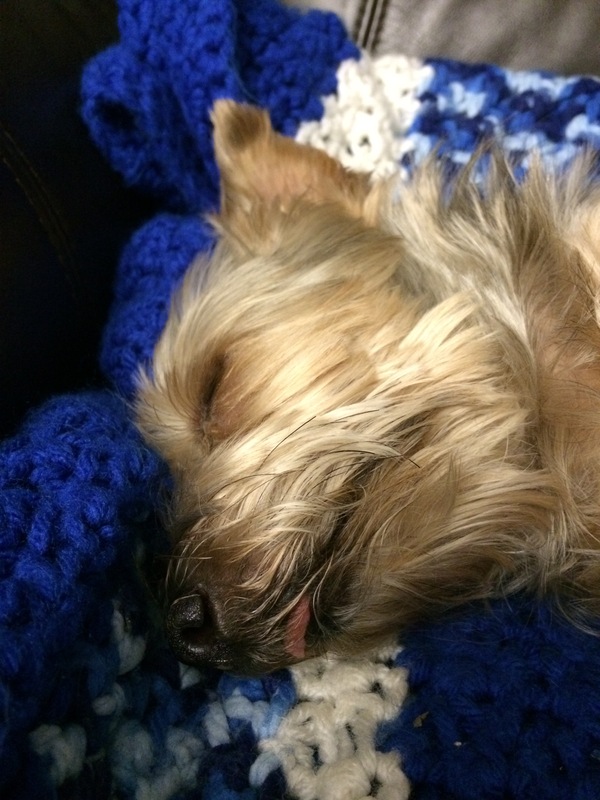 You can tell she’s relaxed and comfortable when her tongue sticks out a little bit while sleeping. 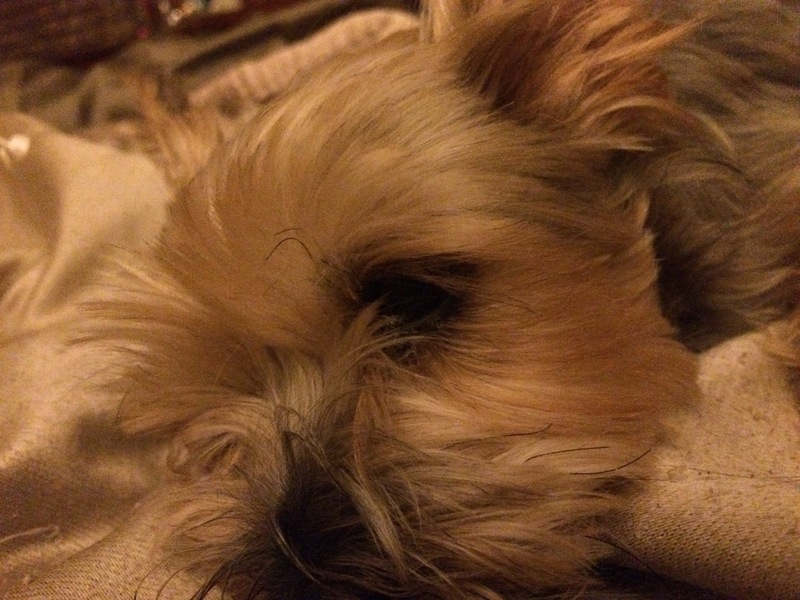 Vesty is the coolest, cutest, dog I’ve ever owned. We love her like a kid. She even has a driver’s license. In case you couldn’t tell by the photos, her favorite activity is sleeping. What a life my dog has, she’s been in retirement mode since day one. Having survived the death of my wife’s father and mother, she’s been through a lot with us in the 10 years we’ve had her. We try not to think about her absence from our lives but the day is inevitable and will come sooner rather than later. That day will hurt but until then, there’s a lot more happy moments to be had! 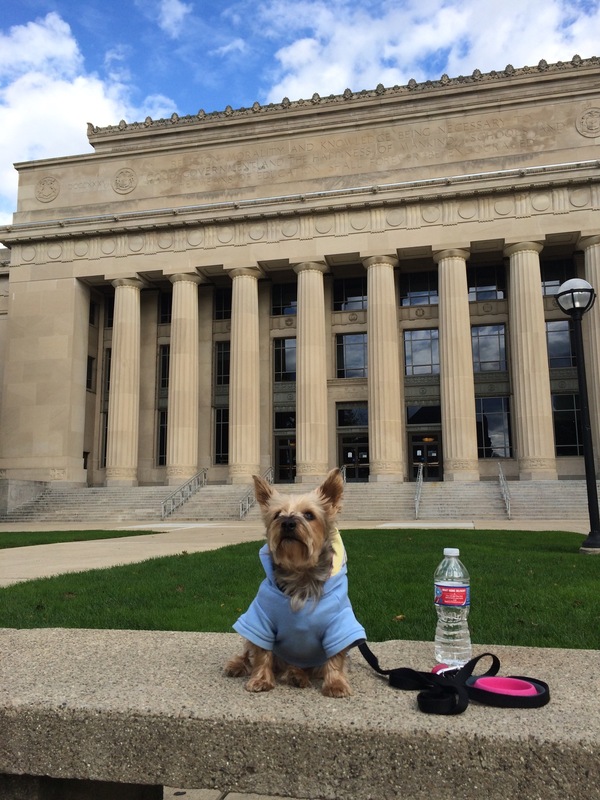 Professor Vesty visiting the University of Michigan campus.